Top foods are the best of the list of superfoods, therefore they are “tops” in nutrition and taste and they're antioxidant rich too! People are interested in food and eating food. This may come as no surprise to you. Wise consumers of food not only search for tasty foods, but for those that are good for both health and wellness. As the saying goes, “You are what you eat.” Therefore, more people are trying to eat healthy and make wise food choices. Mothers are looking for top foods to nourish their family. People of all ages search for top foods to nourish and strengthen their bodies while not adding empty calories. Eating well makes you LOOK good! Just check out Eating for Beauty by David Wolfe. The search for top foods is ongoing. 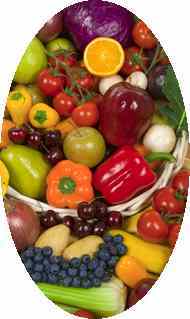 The process of choosing and giving your loved ones the best foods possible meets both practical and emotional needs. Here is a list of 10 top foods. This list nicely complements the list of 10 Healthiest Foods. Hopefully, these lists will help you to feed yourself and your family with food that is both nutritious and tasty. For a more detailed explanation of each of these superfoods, click their link. Acai Berry - The health benefits of the acai berry have been getting much press lately. However, any fruit that ends in the word “berry” is a powerhouse of delicious and powerful nutrients. Beans - This humble vegetable is extremely high in antioxidants, fiber and important nutrients. Once you’ve realized the health benefits of bean nutrition, you'll never think of this colorful legume in the same way. Broccoli - This stately vegetable crowns the green vegetable family. Broccoli health benefits are many. Especially studied are its cancer-preventative properties. Eggs - The health benefits of eggs are plentiful. Eggs, especially the yolks, are not only an easy to digest source of protein, but they're also chock-full of nutrients ready to nourish your body and is a wonderful food for dieters. Contrary to popular belief, the cholesterol in eggs will not raise your blood cholesterol levels. Mushrooms - Mushrooms are an excellent meat substitute— even if you're not a vegetarian. A key factor to the nutritional value of mushrooms includes the fact that it is one of the few vegetable sources of Vitamin D. Medicinal mushrooms elevates this lowly fungus to offer a whole range of protective benefits. Fish - The benefits of eating fish include adding essential fatty acids to your diet. Wild caught fish are packed with protein and high in heart-healthy oils and make our list of food that contain omega 3. Sprouts - The inside of the tiny sprout is all that it needs to create a completely mature and reproducing copy of itself. Take advantage of this powerhouse of nutrients. When you know how to sprout seeds, you will get both an inexpensive source of wonderful food and an appreciable sense of accomplishment. Tea - Next to water, tea is the most widely consumed liquid. The health benefits of black tea or any other colored tea are many. Not only is it refreshing and tasty, tea offers a whole range of heart-healthy, protective antioxidants. Just hold the sugar, artificial sweeteners and high fructose corn syrup. Whole Grains - Whole grains are cereal grains with three parts. Eat all three for superior nutrition. Here is a list of whole grains to get you munching healthfully. Yogurt - The friendly bacteria in yogurt is the type your body craves. When you know how to make yogurt, you can enjoy this delicious and inexpensive superfood daily. 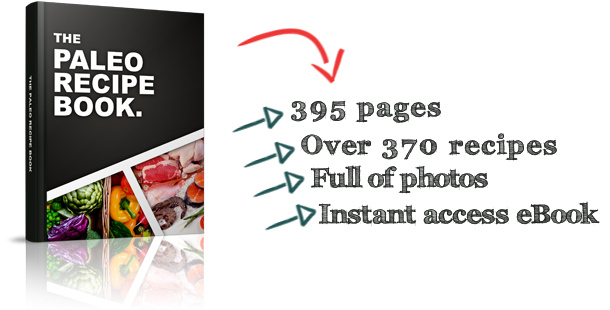 Here you can get over 300 recipes using simple-good-for-you foods. These cookbooks will help you provide nutritious and delicious foods for your family using some top foods to enhance your overall health and wellness. The full package includes an 8 week meal plan and a herb and spice guide - check out the Paleo Recipe Book now!